Are you interested in basic information about human resources including a definition? Career planning, a career outlook and more? HR salaries, jargon, and acronyms are all covered to quickly answer your questions about the field, the jobs, and the services provided by HR. Here are answers to some of the questions about human resources that are received most frequently in an email, and on Facebook, LinkedIn and Twitter. Here's hoping that the responses to these human resources questions will be useful to you, too. See HR jargon that you need to know. The following are job descriptions for commonly found positions in Human Resources employment. Take a look and see if you can use these samples to assist you in developing your own job description or those of your staff. They also describe various positions in a career in HR for career seekers interested in what HR staff members do. Do I have to go to college and get a degree to work in Human Resources? Do I have to have some kind of certification to work in Human Resources? Want a Career in HR? Employment laws, guidelines, and information? Need to know the latest about employment laws? It's a quickly changing topic with which you will want to constantly stay in touch. In fact, you will need to call an employment law attorney in each of these six cases. How can I redesign our performance management system? (review, appraisal, evaluation) process redesign and development? Performance appraisals are disappearing in favor of a more employee-oriented, customized performance management system that focuses your managers' energy on setting goals and employee development. Find out all about it. You may want to change your system. Sample and example policies, procedures, guidelines, and forms? Need a sample policy or form that you can use as an example when you devise your own forms and policies for use within your company. These HR sample policies are prime, effective examples. Design and development of a training program? If you're committed to employee development, you'll want to take a look at all of the articles in the HR training section. You'll find everything from employee onboarding to needs assessment, on-the-job training and more. How can I recruit and hire superior employees? When recruiting, selecting, staffing and hiring, pick the smartest person you can find. You want talented employees who fit your culture. Your recruitment strategies are critical in attracting these people. Retention of your best employees starts with your recruiting, staffing and hiring strategies, policies and procedures. Recruiting, testing, selection, and staffing are the focus of these resources. How can I interview prospective employees? 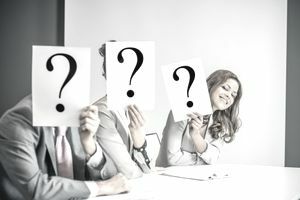 How to conduct a safe, legal interview that also enables you to select the best candidate for your open positions is important. The interview is one of the significant factors in hiring. Perhaps the traditional interview is accorded too much power in selection. Learn more interviewing tips and interviewing techniques to make your interviews a powerful tool and process to evaluate candidates. How can I select, make offers, and hire great employees? Learn how to select the best employees for your open positions. Selection and evaluation techniques are explored that help you pick among qualified candidates. Employee selection and employee evaluation processes are critical to hiring a superior staff. Learn to improve your hiring practices. How to determine a motivating employee salary and compensation? Find the latest information about setting salaries, paying employees, using salary as a tool for the motivation of and retention of employees. How can I design attractive benefits packages for employees? The right benefits package can help you attract and retain talented employees. Your benefits package can cost up to thirty-five percent of an employee’s salary. Make sure that your benefits are serving your organization's best interests in attracting and retaining key employees. Need to Find a Specific Human Resources Topic? How can I find out if a particular HR topic is covered in the HR section? The easiest way to determine if your topic is covered is to use the Search Box in the upper right-hand corner of each page. Search on the topic about which you seek information. You can also scroll through the topics listed in the left- hand column of any page.